Made this for my Australian and English cousins that will be cruising across my home city and state for the next month. Enjoy guys! Happy to make any of you a copy. Let me know! 11. 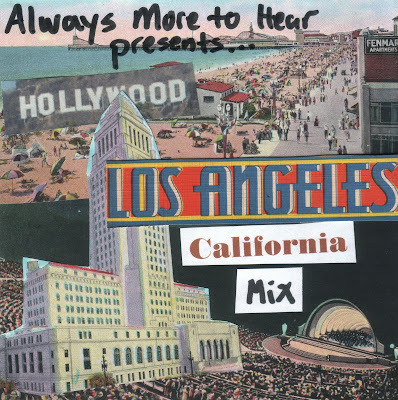 I Remember California - R.E.M. Made some changes to the New York Mix, it's MUCH better now. I'll post it soon. Ah! You went the about-California rather than from-LA route. Good choices! Check out the new "Move To California" by Times New Viking. And there's always the anti-LA Death Cab for Cutie song, "Why You'd Want To Live Here." And "California One/Youth & Beauty Brigade" is my favorite ever Decemberists song. Thanks Cary! Oh yeah, an anti-LA song would be awesome. These are songs that were all in my collection, that's how they made it here. My picks: "California Stars" by Billy Bragg and Wilco. "California Wine" by Heybale. For a silly song - "Hollywood Freaks" by Beck. "Hollywood" by Cranberries. "Whittier Blvd." by Thee Midniters! Hollywood freaks is on there! Phew! You freaked me out for a second that I forgot it.